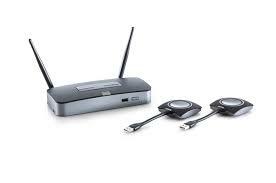 Barco Clickshare....The Easiest way to share ideas and watch them grow! 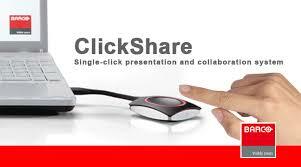 With ClickShare, you can simply share what's on your laptop or mobile device, on a presentation screen. With a single click, you transform a meeting into a complete sharing experience, bringing ideas, people and content together. No cables, no set-up, no waiting to join in.